In my day job I was responsible for ordering my folks to take risks; sometimes we risking our lives. It’s just what we do…and we were OK with that. It was our duty. As “preppers” we must also understand threats & risks, how to rate them with a valid & reliable system, and then how to mitigate those threats and risks so they don’t destroy our family or group. I will do all of that in this series of articles. Now, WARNING!…if you like fluffy prepper articles this is NOT for you. This series of articles will requiring thinking and learning. It will require effort. So, if you are a fair-weather prepper giving lip-service to this, if it is simply a hobby, then move on to another website article. However, if you put in the time and will are willing to learn…you might just learn stuff that could one day save your life…or that of your family. 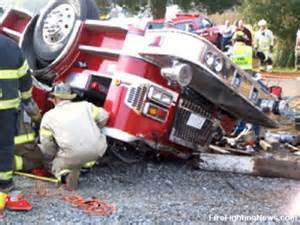 As firefighters we take the most risk by being unhealthy and driving our fire trucks. Yeah, movies and TV shows would like you to think the greatest risk is running into some burning building, flames licking at our heels, roofs crashing in and the like. But that is TV and movie stuff; our greatest risks are vehicular accidents and not staying in-shape and healthy. 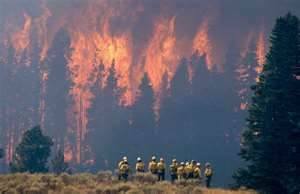 When I moved into the wildland firefighting side of things the chance/risk of being in a “burnover” did go up significantly but has not replaced health and traffic accidents as the primary risks. So what does this have to do with “prepping” and “grid-down?” Everything! Yes, I will explain but I had to set the stage and get your attention first. So, now that you have a general list what do you do? 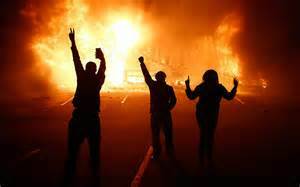 I say you start to narrow down more specifically what exact events might take place to cause those things to happen. Why do this? So you can take steps to reduce their impact. Why reduce their impact? So you and your family don’t get sick or die. If you’ve been reading my articles for any length of time you know I like proven and reliable “systems” to guide me in my prepping. Systems greatly reduce mistakes when implemented correctly. And they do so by diminishing the impact of bias and opinion. Both bias and opinion can harm preparedness spending, direction, and plan implementation effectiveness. I’ve already shared how to set priorities and make effective and consistently high-quality decisions in the preparedness world. That system is called L.I.P.S. and you should take a moment to read about it if you haven’t already. OK, I listed above some of the ways you can become a casualty. And that list comes from events; some are disasters, some are emergencies, and my favorite, “grid-down.” But all of those terms describe a broad category of events, we want to talk about specifics. Doing so will then make it very clear where we want to direct our preparedness efforts and money. The specific events fall into a general systematic definition called “risk.” Each potential event is a risk to our health and safety, and that of our families. 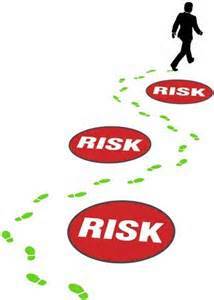 There are two aspects of risk that we are concerned about; 1) probability, 2) severity. Probability simply means, how likely the event is to occur. And in the prepper world I extend that to, and in what time-frame relative to now. So I have defined probability as How likely is the event to occur and how soon. The other aspect of risk is severity. Severity is defined as If the event does occur, how bad the outcome will be. Yes, there is a whole lot of “judgement” that can take place when working with that definition. But not to worry, I will give some guidance on how to reduce “guestimates” and deal more with sound judgement. In the early 1960’s safety experts became very concerned about vehicular accidents and the growing fatality and injury rates. So they embarked on reducing both; and they did so by looking at how people were getting injured and being killed. Then they began to look at ways to reduce the probability of vehicle accidents and reduce the severity of accidents should they occur. By using the two-prong approach they knew that should they be successful, fewer people would die and/or be injured. Probability that a vehicle accident would occur – How did they approach this aspect over the last 60 years? Requiring driver training for new drivers. Improving roads, signage and traffic lights. Severity should a vehicle accident occur – How did they approach this aspect over the last 60 years? Nader pins in car door frames. Air bags in the dashboard. 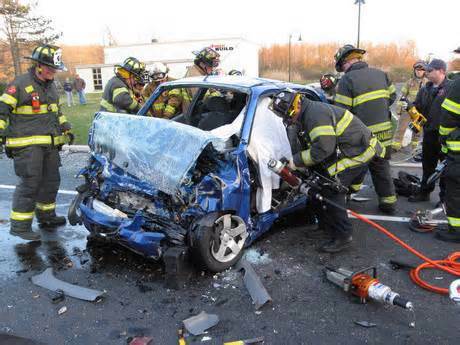 Each step they took reduced the probability that a vehicle accident would occur, and if one did occur, the severity to those inside the vehicle would be reduced. I am sure you could apply that same thought process to any number of aspects of life, including your working environment. OSHA has made a whole industry and legal system doing so. How does this system apply to prepping? Exactly the same way! Let’s do an example to test that statement. Many, if not all disasters, would present the risk of lack of water supply. So the identified risk is “water supply.” How probable is a safe and stable water supply affected by any given emergency, disaster or grid-down event? I can tell you this, any grid-down will stop any municipal water supply pretty quickly; same goes for most disasters. And try buying bottled water even during an emergency event. So the probability of lack of water supply is almost assured. So, how do you reduce the probability that you would run out of water for your family? Identifying a close-by water source (stream, lake, river, run-off pond, etc.). Drill a well or install a large capacity storage unit. 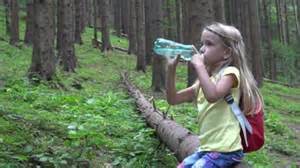 So by identifying ways to mitigate the probability that your family will suffer from lack of water supply you are coming up with solutions to a problem. But what about the severity aspect of no supply of safe drinking water? If you think about it, it becomes pretty plain. No water supply means dehydration. Dehydration leads to incapacitation…and death pretty quickly thereafter. 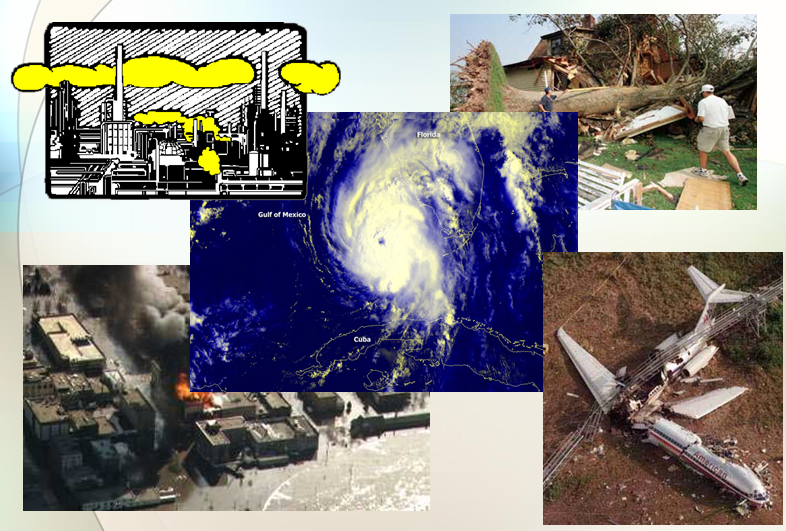 But now that you have identified the probability of it occurring and the severity of it occurring you are in a better position to make decisions on time, effort, and budget considerations when dealing with preparedness priorities. Water supply would be a pretty high priority. This is my rating for events and associated risks that I think would occur and how they would affect my family right now. 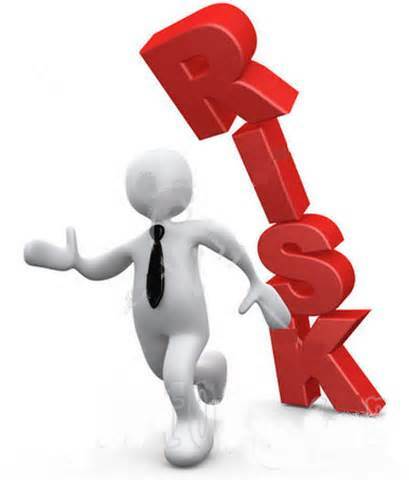 So I identified the risks and set them in priority, it is up to me to then define how to mitigate those risks. 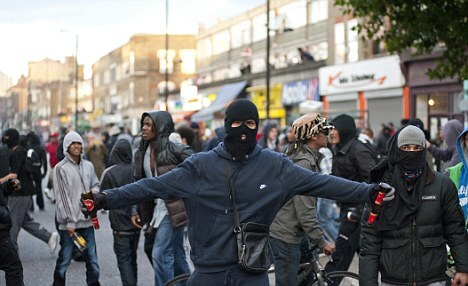 For me it would be pretty obvious that mitigating the “violence” risk would be my #1 priority right now. And how do I do that? 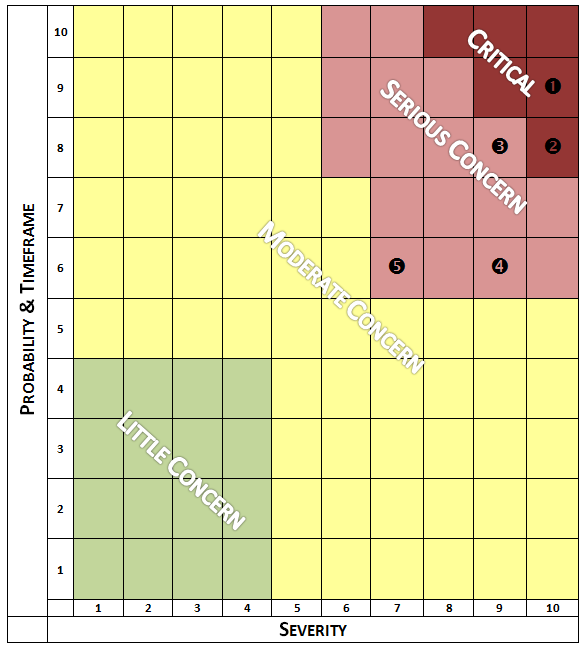 Learn about Situational Awareness (SA). Identify specific violent risks through SA and mitigate those risks. Have a weapon for each member of the family and they are well trained in its use. Keep a low profile, not drawing attention to the family or house. Don’t tell anyone about our preparedness capability. I hope that this makes sense to you. My goal is to give you a clear way to identify the risks you and your family have as you prepare for emergencies, disasters and grid-down. This system, when properly applied, will give you a way to competently identify risks/threats and then design a plan to reduce the risk. And reducing those risks is a matter of reducing the probability that it will occur and reducing the effects on your family should it occur. In the next post I will give you the way to define probability and severity to make your Threat/Risk Matrix more valid and reliable. I will also show an example of using this same system and apply it to larger scale events. Yes, we will look at events and determine which are the most likely to occur. 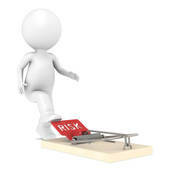 When we are done doing that you will be able to identify the individual risks for each. And you will then see which preparedness priorities are right for you and your family. Then you can develop your plan.